Light enough for sunnier September days and warm enough for those chilly early starts, a biker jacket can be dressed up or down depending on your style. Ranging from distressed leather to pastel hues and autumnal suede there is a biker jacket out there for you with your name all over it. 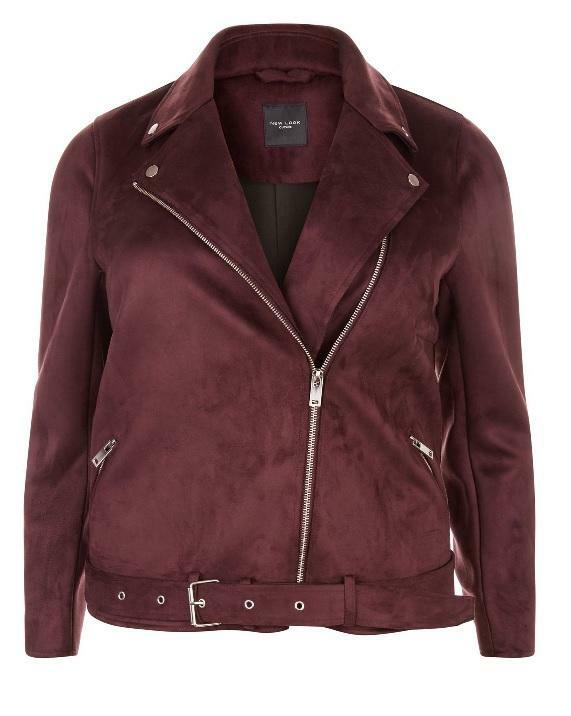 My newest purchase is this gorgeous wine suedette biker from New Look Curve (£44.99). Being a faux suede, it is a little tougher than the real deal as i’m not so worried about marks on the fabric. I am obsessed with it and I can’t wait for the weather to get that little bit cooler so I can wear it more. 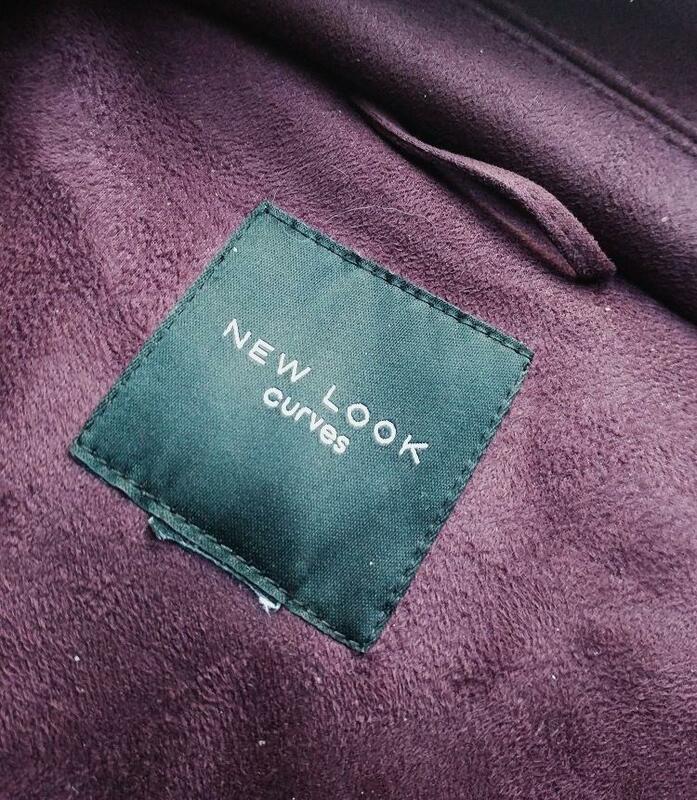 I never thought I’d be so excited to wear the perfect autumnal transition piece! I haven’t even got my trusty leather biker jacket out of storage yet! I have been enjoying styling the biker jacket with a pale denim shirt for casual day times and with a delicate girly top for smart to work that difference between the tougher style of a biker jacket. The only downside is that the belt on the bottom of the biker jacket feels about twice as long as it needs to be and it’s flapping around – I need to fix that! What’s your autumn coat style? 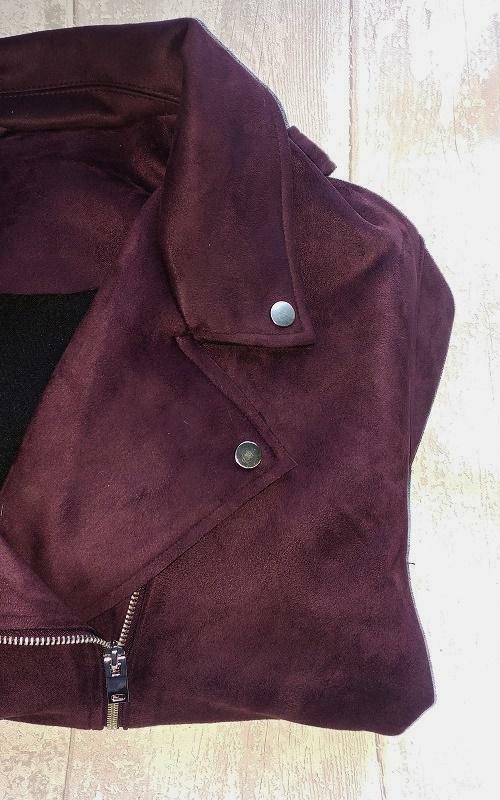 I love the maroon shade with the denim shirt. 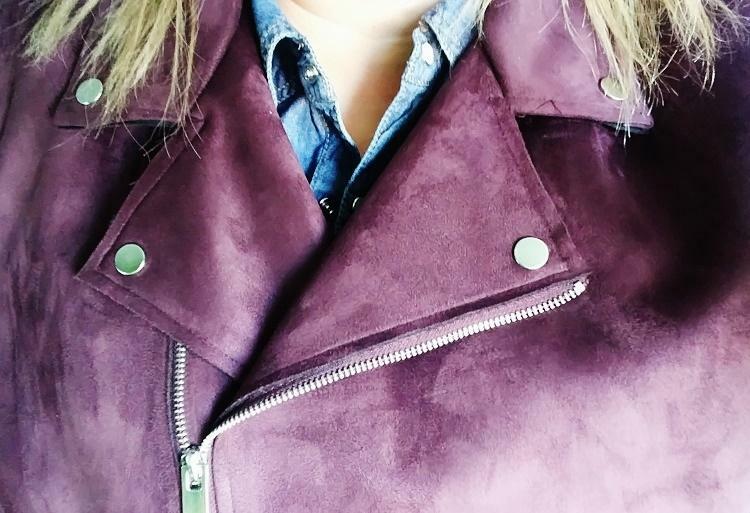 I’m living in my leather biker at the moment, it’s keeping me just the right temperature! I seriously think everyone should own a leather biker jacket!